This colorfully designed Margaritaville<sup></sup> quad chair is perfect for the backyard, beach, sporting event or outdoor concert. It has stain resistant, easy-to-clean polyester fabric. The chair comes with a built-in beverage holder and soft cooler. Sits 18" off the ground. Item weight: 10 pounds. Weight capacity: 250 lbs. Spring into summer with this inviting 4 piece patio set. Durable powder coated steel frames and wrapped in hand woven UV resistant resin rattan wicker, this set is a solid choice featuring wrapped arm accents and curved edges a cozy design with character. Comfortable seat cushions are made from 2 inch foam wrapped in 1 inch soft batting and thick backrest cushioning. All cushions are covered with UV resistant outdoor polyester upholstery with piping. This complete set adds a splash of personality to any outdoor space! You may have seen the Nardi Delta Reclining Chair on a cruise ship, resort, or beach around the world. This Italian made made product is available in Canada.This chair is perfect for your backyard, balcony, pool area, or cottage dock.This commercial grade chair is made of tubular resin frame with a breathable synthetic fabric. The fabric maintains the elasticity and is both UV and weather resistant. This product is maintenance free. The 4 non slip rubber foot pads will ensure stability. The back reclines in 5 positions and is foldable for easy storage and transportation. This chair is a perfect compliment to the Nardi Omega Chaise Lounge Chair. The box includes 1 Delta Reclining High back Chairs in Charcoal. 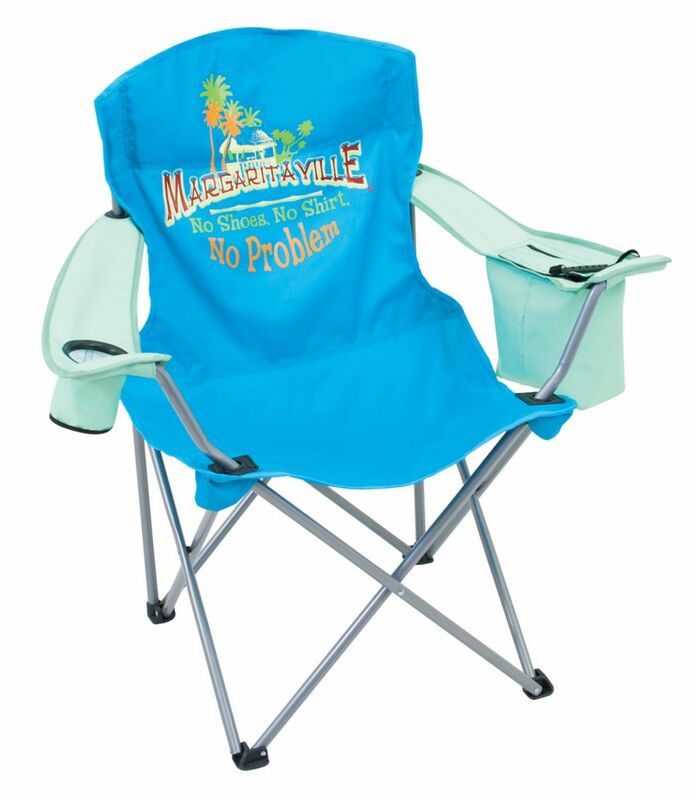 Quad Chair - No Shoes, No Shirt, No Problem This colorfully designed Margaritaville<sup></sup> quad chair is perfect for the backyard, beach, sporting event or outdoor concert. It has stain resistant, easy-to-clean polyester fabric. The chair comes with a built-in beverage holder and soft cooler.